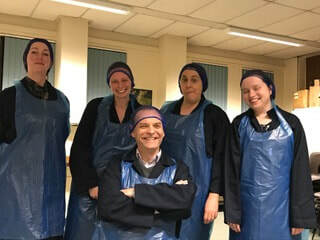 This year’s Linlithgow Players’ Spring Production is about four ordinary women whose lives are transformed in the space of an extraordinary day at the races. Ladies’ Day, by Amanda Whittington, is set in York, 2005 when, due to a multi-million pound refit at Ascot, the race event of the year, Royal Ascot, moved to York’s racecourse. 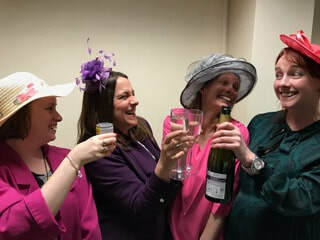 Four workmates, whose daily grind is packing fish at a Hull factory, impulsively decide to celebrate Pearl’s semi-retirement by heading off to Royal Ascot at York. How they get in and the people they meet during this life changing adventure is the theme of this exuberant comedy. Amanda Whittington has written over 30 plays for theatre and radio. Her radio series D for Dexter is award winning, and she is a regular writer of The Archers for Radio 4. This play follows the Linlithgow Players’ successful and well received production of the beautiful and demanding Cinderella: A Fairytale at the Burgh Halls in January. In Ladies’ Day the Players have accepted the challenging casting suggestion offered by the author and only one actor will play the six distinctive male characters, helping the audience to appreciate the women’s stories and personalities. 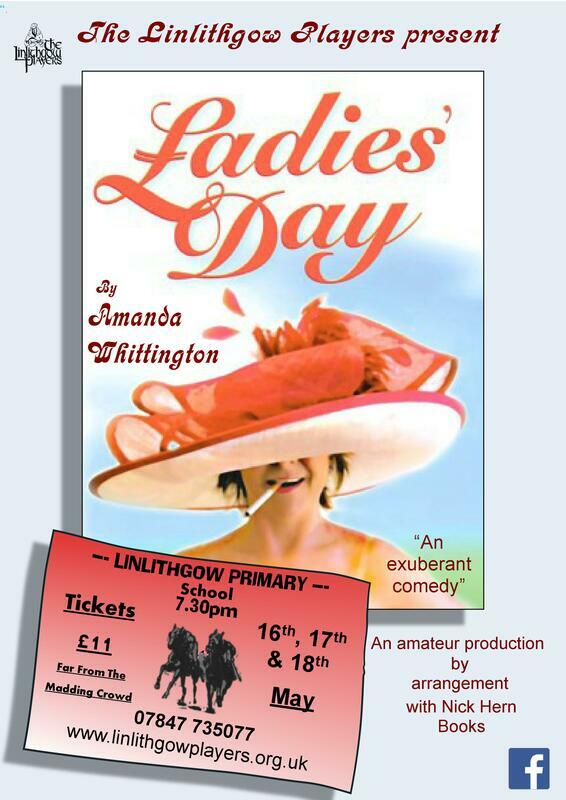 Ladies Day will be at Linlithgow Primary School on 16th, 17th and 18th May. Tickets, £11, are available from Far From the Madding Crowd and www.linlithgowplayers.org.uk with group reservations via 07847 735077.